Paralegals are generally responsible for assisting a solicitor run their cases, without actually representing clients themselves. While they do not have to have any legal qualifications, nearly 95% of all the paralegals working at the National Legal Service have completed their GDL or LPC. Traditionally, paralegals were viewed as support or admin staff, but actually firms have become reliant on them to do fee earning work previously done by junior solicitors. Therefore in practice, there is often little to no difference between an experienced paralegal and a newly-qualified solicitor (NQ). Many paralegals are already as academically qualified as a trainee solicitor and have had training in advocacy. 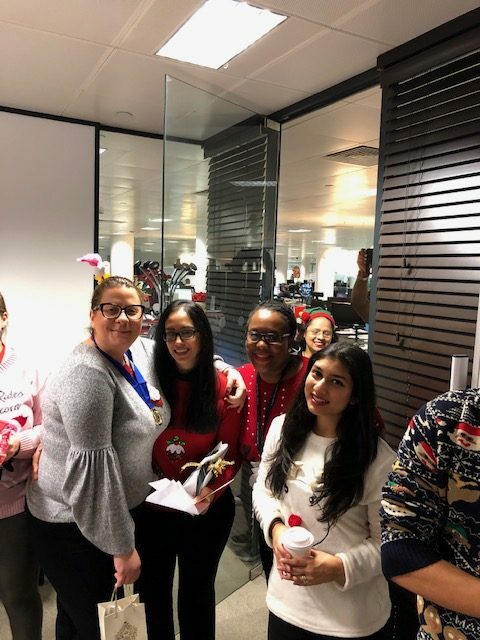 Here at the National Legal Service we took part in Jolly Jumper Day, helping to raise vital funds for this festive season. 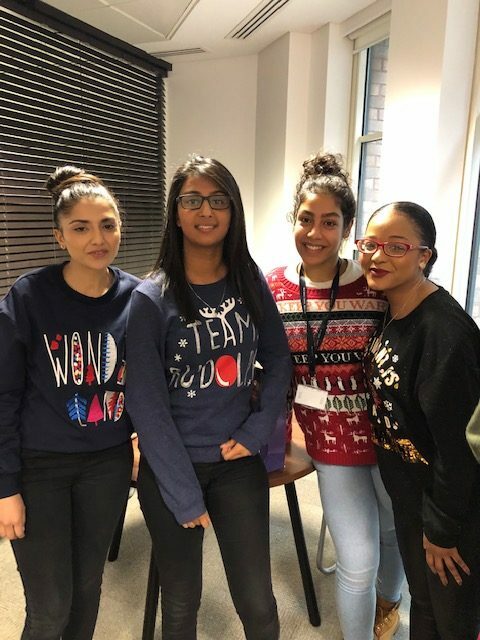 By wearing our Christmas jumpers on Friday 14th December we were able to get everyone in the office together and in to the Christmasspirit whilst saving children and changing futures. By wearing a jumper we could help bring essential food, healthcare, education and protections to millions of children around the world who are missing out. 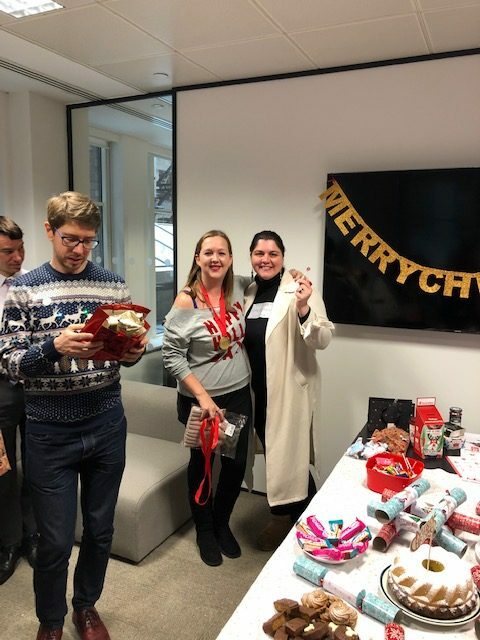 Whether it was a terribly tacky Christmas jumper, a pair of antlers or a Bah Humbag hat for the Grinch in the office, we all got involved. We collected £2 for every jumper for Save the Children to help children not just survive, but to thrive. We managed to Raise over £100 just through wearing a jumper and selling some festive cakes. 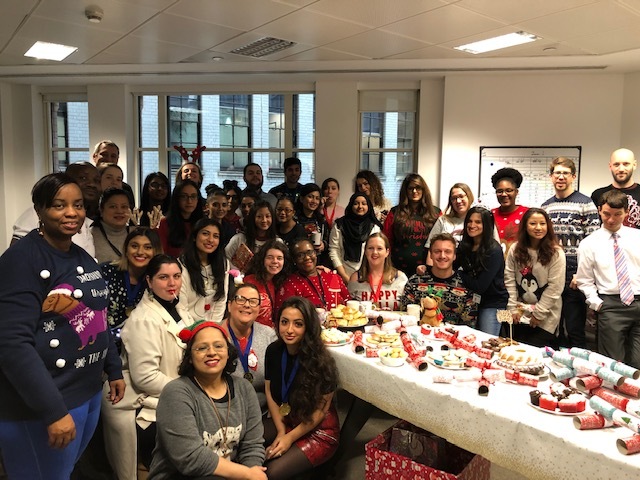 Jolly Jumper day was also a perfect way for the National Legal Service to get our London office together and partake in some festive cheer. 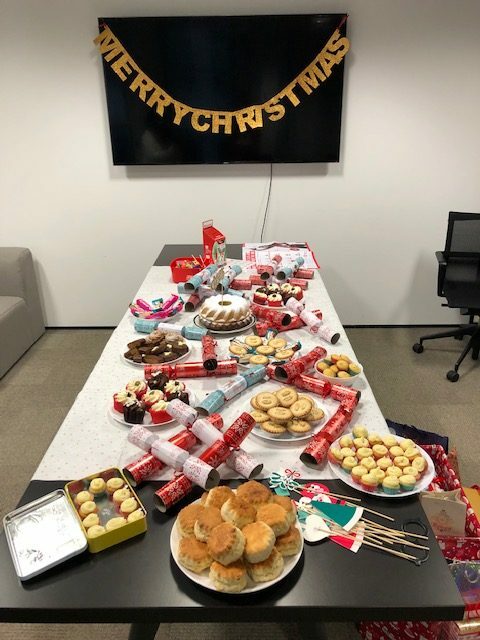 We sold some lovely homemade cakes and donated the money to Save the Children and did our office secret Santa and our first year of NLS office awards which was a great way to get everyone in the office involved and engaged. We even had our offices out of London partake in the jolly jumper festivities. 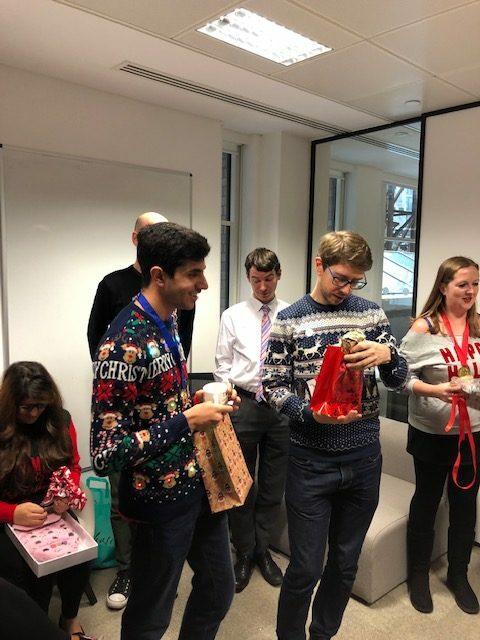 For most of us, Christmas conjures up images of cracker jokes, mulled wine and a haze of Christmas parties and families opening presents around a Christmas tree. However, for others, Christmas is the most feared time of the whole year. Domestic violence rises significantly during the festive period. Across the country, refuges and police forces are currently preparing for a rise in domestic violence cases and referrals. Last year Sussex Police arrested 262 people in connection with domestic violence – double the previous year. What’s more, according to UK government figures from 2012, assault and domestic murders increase 25 per cent during the festive period and incidents go up by a third on Christmas Day itself. While incidents of domestic violence rise at Christmas, calls to Domestic Violence Helplines actually decrease during the festive period. According to Polly Neate, Chief Executive of Women’s Aid, this is because, “Many people want to keep it together for the children and so they wait until Christmas is over to call. Plus, if they are in close quarters with the perpetrator, they are probably being monitored very closely”. We at the National Legal service will be doing all that we can to help those that come to us after being effected by domestic violence this festive season. During this time it is important to remember all those who are less fortunate then us, including those sleeping on the streets this Christmas, battling terminal illness and those spending Christmas alone or in abusive relationships. We urge that everyone take a moment to reflect and do their part in helping those less fortunate. On behalf of the National Legal Service, we wish you all a Merry Christmas and a positive and successful New year. 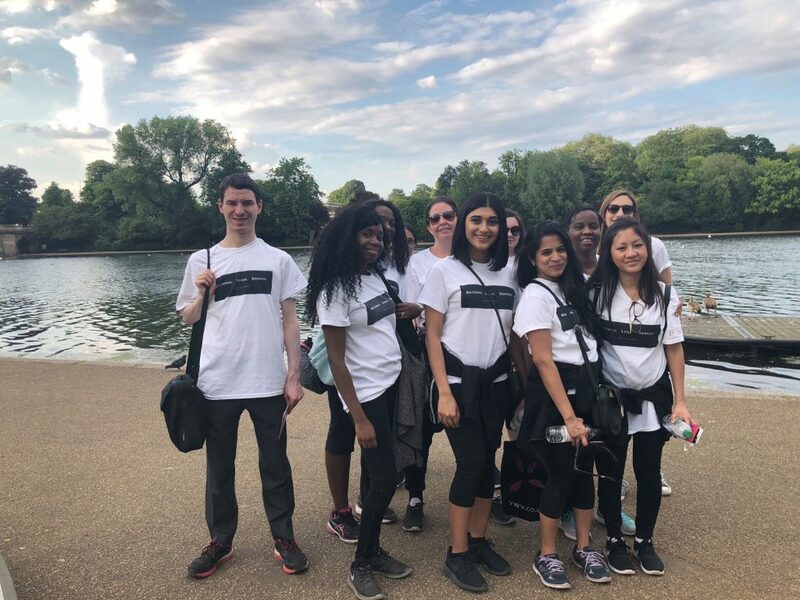 Over 13,000 legal professionals, colleagues, clients and friends took part in the London Legal Walk on 21st May 2018. So far, the walk has raised £580,000. That is ahead of the target reached this time last year and so we can hope to beat last year’s amount of £810,000. 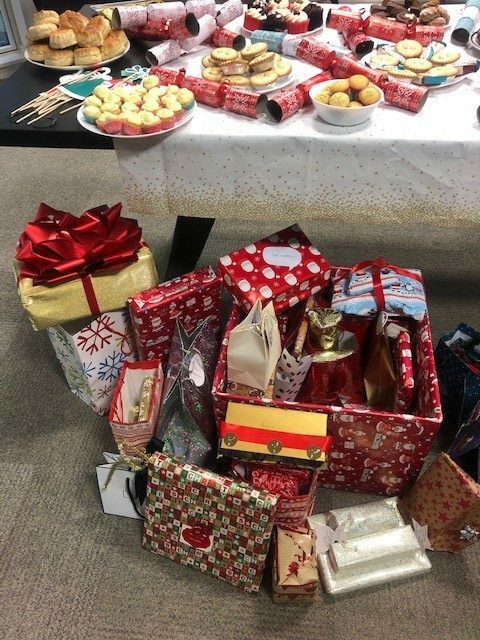 Thirty-three individuals took part on behalf of the National Legal Service from our Moorgate and Guildford branches, and managed to hit our target to raise £1000 towards the cause. On top of this, the National Legal Service will further donate £500 making our total raised £1500. We had a fantastic day walking the 10k park route whilst enjoying the sunshine. 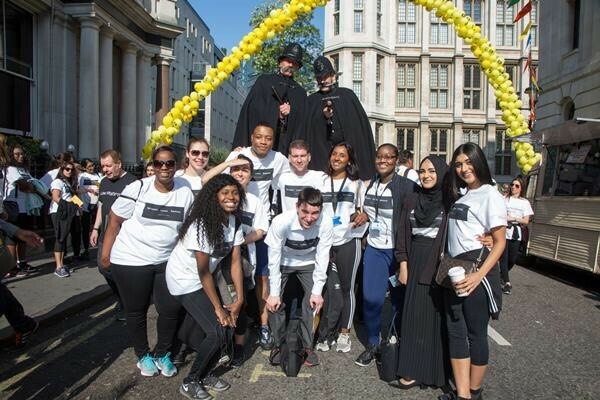 The National Legal Service would like to congratulate all those that took part and thank all those who sponsored us to walk! Zadie had been without any income (except Child Benefit) for her self and her young daughter for several months when she was seen by a free legal advice organisation. She had been refused Employment and Support Allowance because she was an individual from outside the UK, and did not satisfy the right to reside and habitual residence tests for entitlement to means tested benefits in the UK. 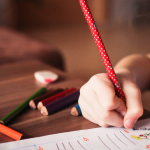 The Centre were able to successfully appeal the ESA claim on the grounds that she had a temporary right to reside in the UK, as the primary carer of a British child in non-advanced education. The successful appeal meant that she was awarded over £190 a week on an ongoing basis, with backdated income of over £5,000, enabling her to meet rent and Council tax liabilities. This has made a huge difference to Zadie and her daughter. Money raised can also help domestic slaves like Tanya. Tanya’ worked seven days a week, 18 hours a day for four and a half years. She was on call 24 hours a day and was forced to sleep on the floor. She was paid 11p an hour. She had her Bible taken away from her and was prevented from attending church. She was completely isolated and not allowed to contact her family. Tanya’s captors set up a bank account in her name, which they controlled and used for their own benefit. She was refused legal aid because the Legal Aid Agency said her case was not serious enough. A free legal advice center acted for Tanya throughout the ordeal of separate tribunals, on separate issues in the case, and won all of them for her. These are just some of the types of cases the money raised from the walk can continue supporting. It is vital that access to justice should be equally available to everyone, regardless of his or hers financial circumstances. As a firm, we look forward to walking again next year and raising even more money towards the cause.